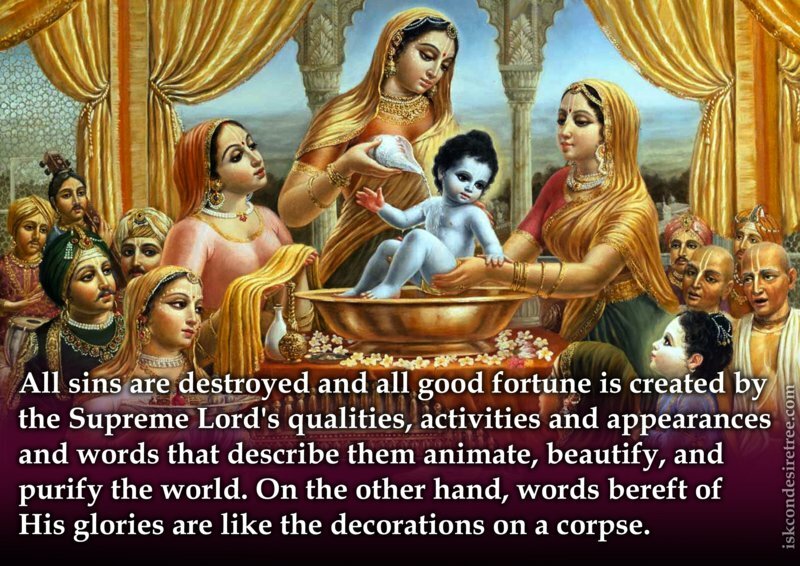 All sins are destroyed and all good fortune is created by the Supreme Lord's qualities, activities and appearances and words that describe them animate, beautify, and purify the world. On the other hand, words bereft of His glories are like the decorations on a corpse. Matter, antimatter, proton, neutron, etc. 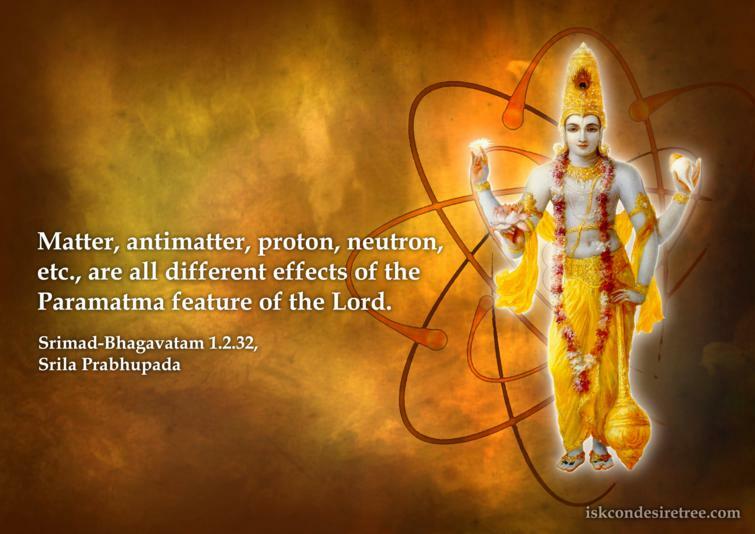 are all different effects of the Paramatma feature of the Lord. 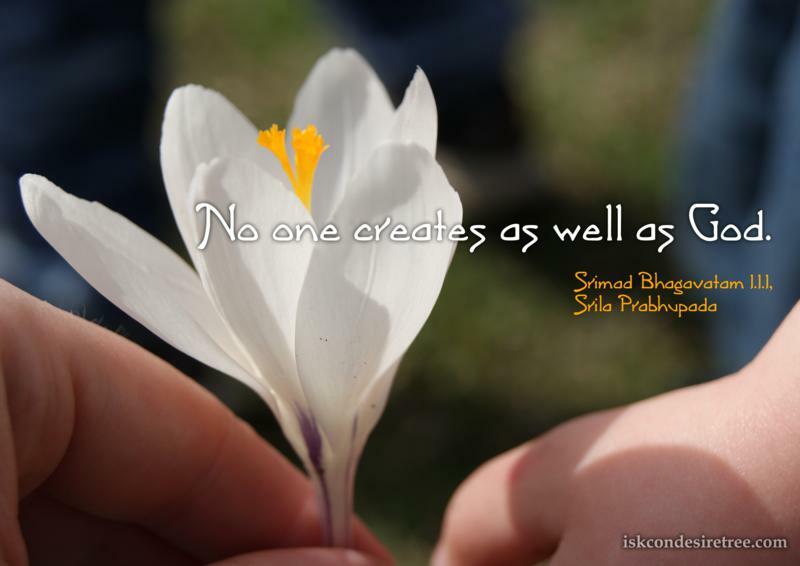 No one creates as well as God. 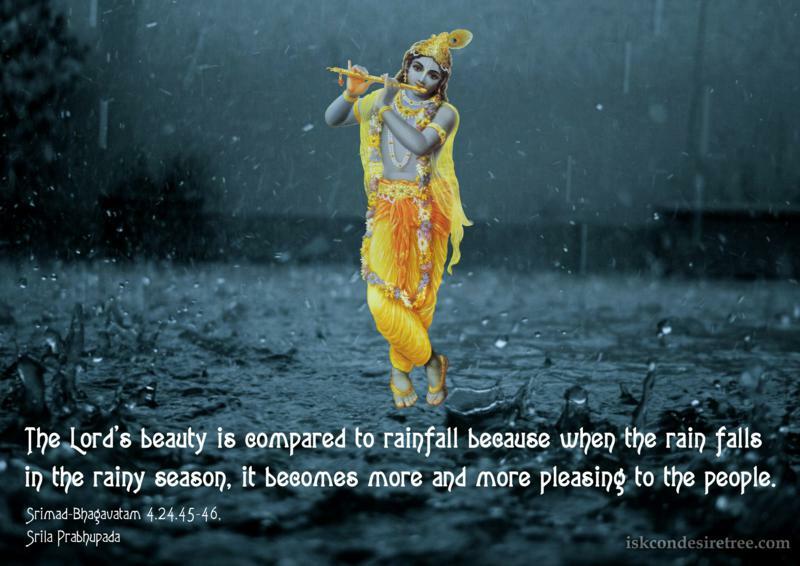 The Lord's beauty is compared to rainfall because when the rain falls in the rainy season, it becomes more and more pleasing to the people.